My daughter was headed into her 5th year and I was looking for a solid 22lr handgun that she could use when we were camping. She and my son both have been shooting for several years now, both of them are very good shots when they concentrate. Both enjoy firearms and both are safer to be around than most soldiers and police officers I have worked around or with over the years. Ruger has a decent lineup of firearms, the Ruger SR22 is one of their better creations recently. When it comes to 22lr chambered firearms you have a very simple metric that can be applied. Over the years I have found that the tighter tolerances in the superbly accurate firearms like the SW model 41 or the Colt Woodsman, Hi-Standard or the Ruger MkII/III bull barrel target model and others tend to lead to a problem with feeding ammunition well. While they can and should be tuned to eat good 22lr ammunition, most of us do not have the money to do this with every single firearm we own. This is why when I buy a 22lr firearm I go for reasonable accuracy and reliability. What falls in this category are the well known Walther P22 series, Browning Buckmark and the Ruger SR22. There are a few others that could be slid in nicely, however, I do not have enough experience with the others to be able to honestly give a review or feedback. I truly enjoy the Walther P22 series as it has proven to be a solid suppressor host and for under 25-yard varmint hunting more than adequately accurate. My kids and I regularly shoot 12-ounce soda cans as they are moving with ours using standard ammunition. The Ruger SR22 has proven to be as reliable and possibly a little more accurate than the Walther P22. Certainly, it can be adapted as a suppressor host if you choose, however, the SR22 comes in two distinct variations, one threaded and one not. It also has several frame colors and other minor non-functional variations that can be purchased. Politics aside, Ruger does tend to make generally reliable firearms. Obviously some of their firearms are not as good as others, however, when it comes to 22lr they really do know what they are doing. The Ruger SR22 specifications are as follows. It is a compact, lightweight and relatively reliable firearm. Reliability, this metric is subjective simply because even if I tested 3 random versions and they were all reliable, there will always be someone somewhere that has a dud. This person will always be the first and loudest because their firearm does not work as people like me said it should. I should note, I have had poorly functioning Walther P22s and I believe they are the most reliable with the largest amount of variety in ammunition types of all currently manufactured 22lr handguns on the market today. My beliefs are really just that, beliefs. While based in my personal testing and results seen this is rather limited and will never encompass everyone’s experiences. The handgun I tested is the one my daughter uses while camping/shooting and has proven to be as reliable as my Walther P22s (click here to read my article on .22 caliber handguns for concealed carry). Well over 90% reliable when you look at the amount of shooting we have done with it, well over 2,500 rounds through this handgun so far. Like the Walther P22, it has an open chamber allowing for much-improved function and a cleaner action for longer than the semi-closed chambers found in the more accurate but arguably less reliable target models listed above. It has easy to manipulate controls and offers standard safeties and ejectors. One of my complaints with this handgun is the ejector button which is mushy and difficult to use with any speed. The trigger is crisp and not terrible. While it is nowhere near the same as the MkII handgun and not even in the same universe as the Model 41 or the Hi Standard handguns, it is very good for what it was designed. A daily shooter, not for competition but definitely for fun and even some hunting needs. It really is a great backpacking firearm for youth and people looking to cut weight but still wanting something to extend their range should they need to harvest game, want to do a little shooting or even worse case defense of self. While I am not among those who believe self-defense starts with a 4, I can agree that if all you have is a 22lr you are not unarmed but you are underarmed. It is a ruggedly built, solid piece of equipment that draws much of its design characteristics from the Walther P22 line, as do many modern 22lr handguns. With replaceable back-straps allowing for smaller hands to adjust more easily, this firearm is well suited for the growing, new and even older more experienced shooters among us. With some adjustment to the magazine release/eject button, you could use this handgun for live fire practice as the controls are virtually identical to most modern combat handguns in circulation today. After adjusting the sights to get it on target our groups closed up nicely. Averaging between 2-4” offhand 5 round groups at 25 yards this is not a bad little investment. Again, it is not a match grade, bullseye pistol. This is a plinker, a camp gun, a trap-line and hunting backup. The gun you use when your prey needs the coup de grace. For these roles, it is superbly suited. Especially if you get the threaded variant. Doing this and having a lightweight monolithic suppressor allows you to easily harvest small game or enjoy a long day of shooting for practice and fun. Cleaning this firearm is far easier than most 22lr handguns I have. Check the chamber, make sure the ammunition and all magazines are away from the firearm. This firearm has a magazine disconnect, this means it will not fire without the magazine inserted. At this point, it has been field stripped and can be easily cleaned. Reverse the steps above to put it back together, make sure you lock that tab back into place! Lubrication is similar to other handguns, just a couple drops of lightweight lubricant such as Ballistol, Rem Oil or Hoppes will work great. Make sure you rack the slide a few times to ensure full dispersal of the lubrication. What ammunition does my and my children’s handguns prefer? We use Aguila, Eley, and CCI (click here to check-out these prices for .22 caliber ammo) almost exclusively for shooting. These have proven to be the most reliable ammunition currently on the market for 22lr shooting purposes. I do keep a few 50 round boxes of Remington, Winchester and more around for testing. The only round that had issues feeding was the Remington flat tip stuff, however, I expect that as it is a round designed for use with tube fed firearms versus magazine fed. The best groups were seen with Eley Black and the Aguila Super Extra blue boxes. As a result, this is what is stored with the handguns and used almost exclusively when shooting. Pricing for this will vary based on location, in Arizona, at this time we can get them for between $335 and $360 depending on model, color and threaded or not. The firearm comes with 2 magazines from the factory, and new magazines can be had for around $25 apiece. 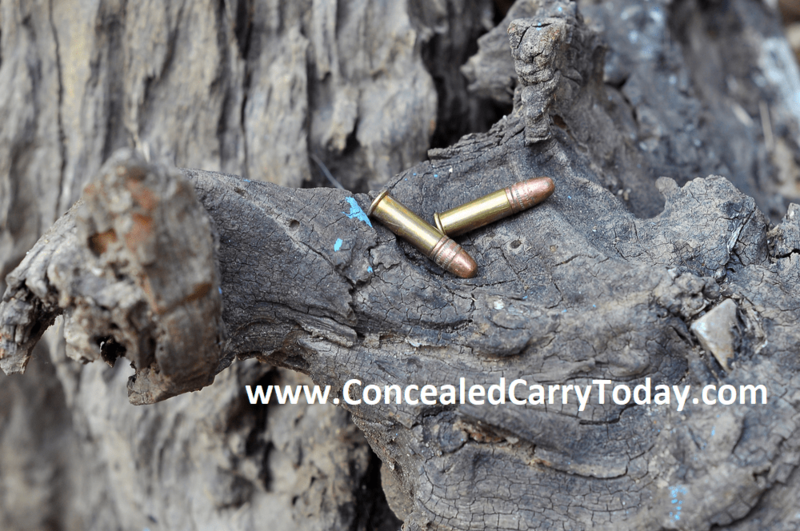 Several solid companies make holsters and magazine holders (here is a nice one – Concealment Express IWB KYDEX Holster). CYA manufacturers found on Amazon make some great products that work well for this handgun. Because the gun is aluminum and polymer with a stainless barrel, leather is not a bad idea if that’s where you want to go for holsters. So do I recommend this handgun, absolutely. Do I suggest using standard protocol for testing prior to relying on it? Always, and absolutely. In fact, if you do not test your defensive firearm to at least the 500 round mark even without a fast fire test, you are doing yourself a disservice. Test your ammunition and firearms thoroughly before carrying them for defense or even as a tool for hunting. As always, please comment and let me know what I missed or got right. I like hearing from you all! More Great Stuff Below... Don't Miss Out! 😃 Like My Content? Subscribe to Me On YouTube for More! 👌 Support My Channel By Shopping on Amazon! 👕 Order Your Pro-Second Amendment shirts here!